Courtesy of Carolyn N Sappenfield, RE/MAX Realty Services. 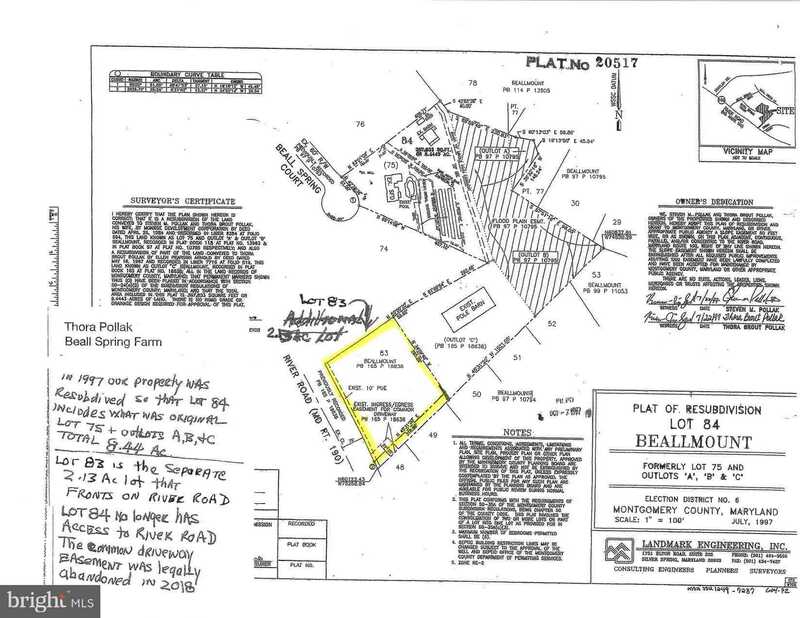 2.14 acre parcel ripe for development! Gorgeous rectangular lot just 4 miles past the Village. Offered on its own or in conjunction with the purchase of 5 Beall Spring Ct (see residential listing MDMC625106). Call for more information. Please, send me more information on this property: MLS# MDMC651248 – $500,000 – 13301 River Road, Rockville, MD 20854. I would like to schedule a showing appointment for this property: MLS# MDMC651248 – $500,000 – 13301 River Road, Rockville, MD 20854.